Dominique Larue – known to most, simply as Larue, continues to be one of the best, most consistent female M.C.’s Hip Hop has to offer. Born and bred on the North Side of Columbus, Ohio, Larue was greatly influenced not only by her own connection to Gospel and R&B music, but also by the quality Hip Hop her older brother listened to. With artist like A Tribe Called Quest, The Fugees, Outkast, Def Squad, and Busta Rhymes in the air and her high level of talent -- it’s no surprise that D. Larue’s style, delivery, voice, and quality content has now become her guarantee. Both lyrically loaded and artistically sharp, D.
Larue provides a unique perspective to today’s Hip Hop. 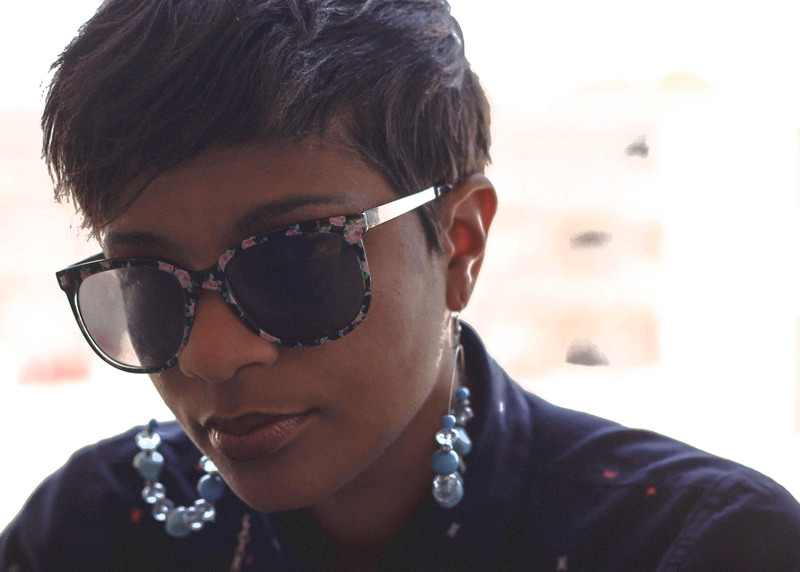 Larue has released several projects over the years including a group project called Heresy with MyVerse, Carolina Dirty, and Hip Hop pioneer Monie Love. Released a single called Shine featuring Method Man and has a project coming out with Columbus' legendary producer J. Rawls called Almost There. Along with her releases, Larue has licensed her music to several TV networks including HBO, MTV, Comedy Central, Vh1 among others.